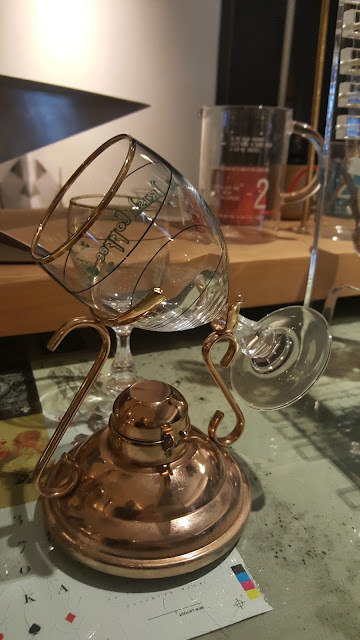 With high end cafe on the rise, our coffee option has expanded. 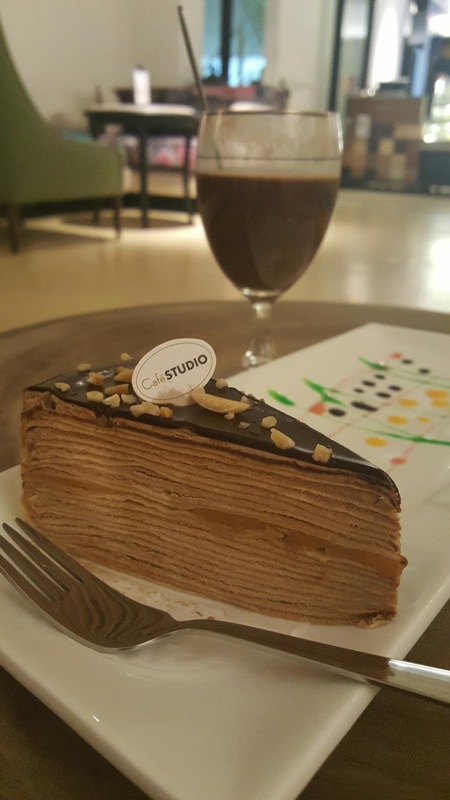 In Cafe Studio, the question is no longer what type of coffee you want but how you want your coffee made. 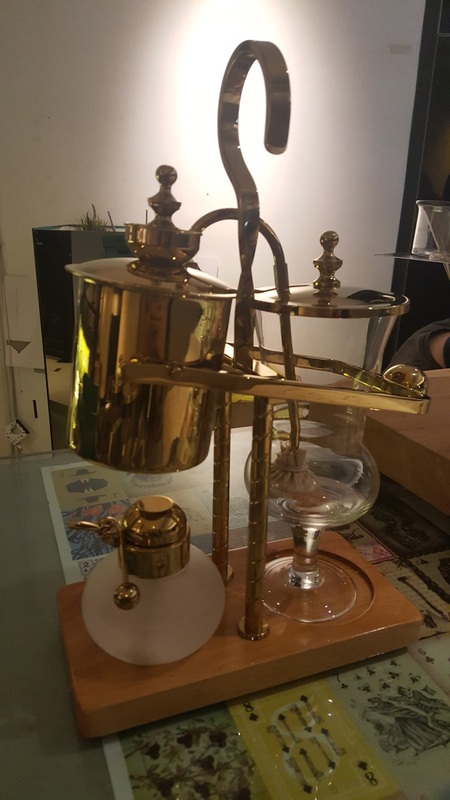 Between Royal Balancing Siphon, Vacuum Coffee, Irish Coffee, French Press & Dripping Coffee, getting a cup of coffee has become more interesting. 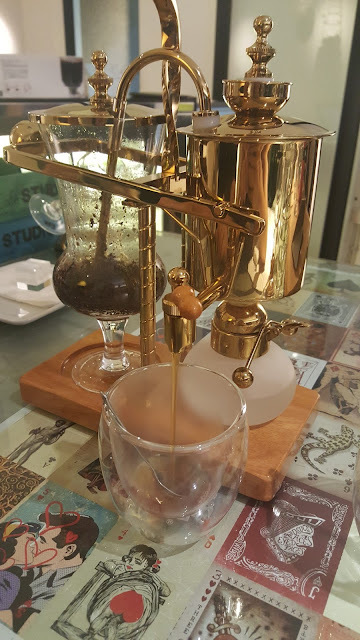 You can choose in what way you want your coffee made and try it yourselves! Or asking for staff assistance. Fashionable goldsmith balancing siphon, origin from Europe since early 1840's. 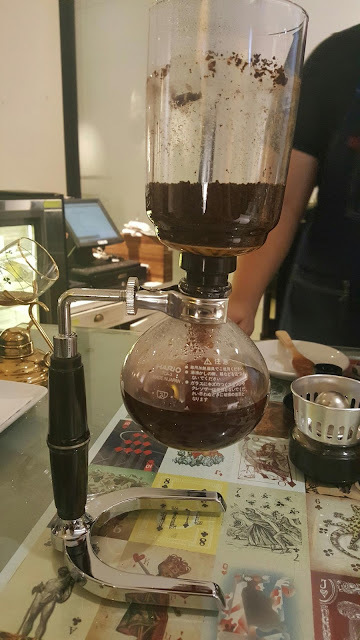 The coffee from a balancing siphon can best be described as “crystal clear”, with great purity of flavor and aroma and no bitterness added by the brewing process. Two chambers arranged side by side on a balance-like device, with a counterweight attached to the heated chamber. 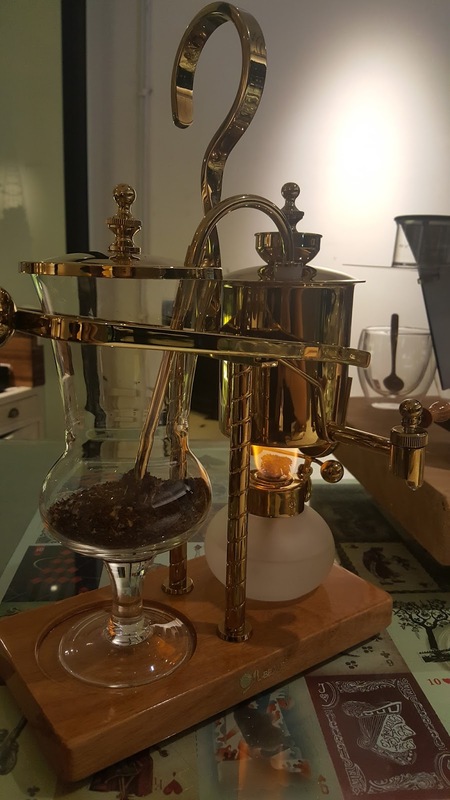 When the vapor has forced the hot boiling water out, the counterweight activates a spring-loaded which smothers the flame and allows the initial chamber to cool down thus lowering pressure and causing the brewed coffee to seep in. Boiling water is pushed through the metal pipet. 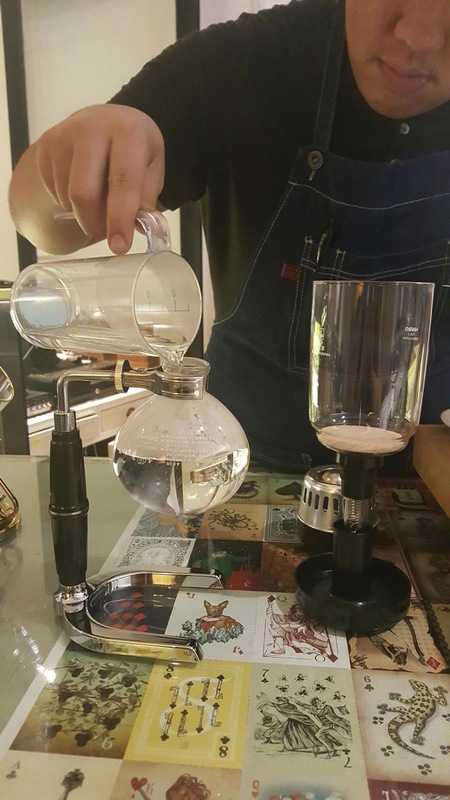 The beauty of Balancing Siphon is the coffee is brewed by extended contact with water at exactly right brewing temperature and the the coffee is immediately separated from the ground. 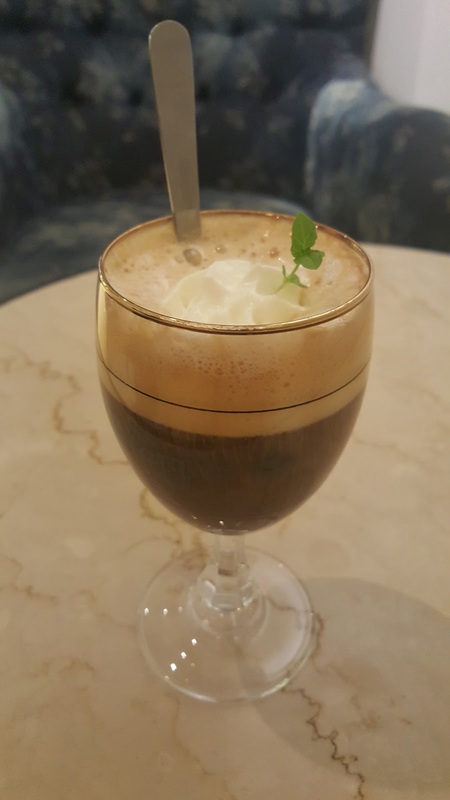 Irish coffee is a cocktail consisting hot coffee, Irish whiskey and brown sugar. Stirred and topped with whipped cream. 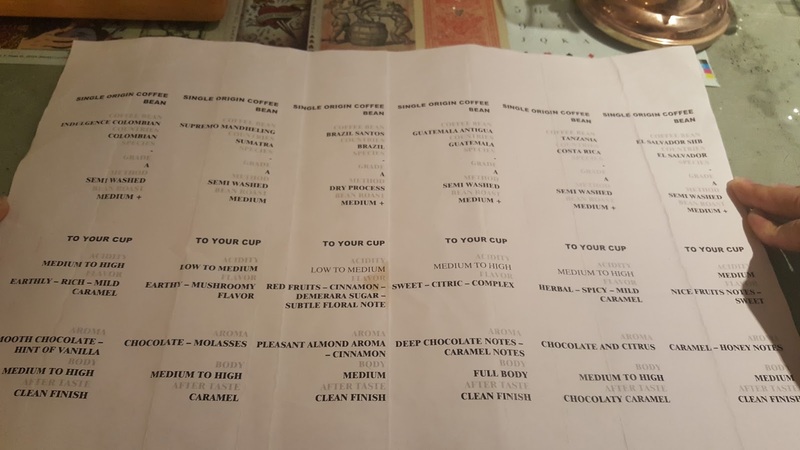 The coffee is drunk through the cream. 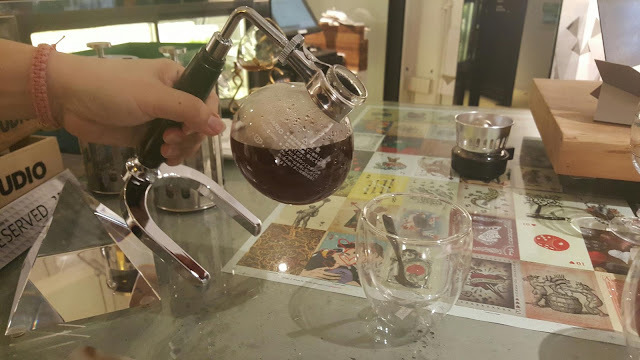 The video of barista showing us how Irish Coffee is made. 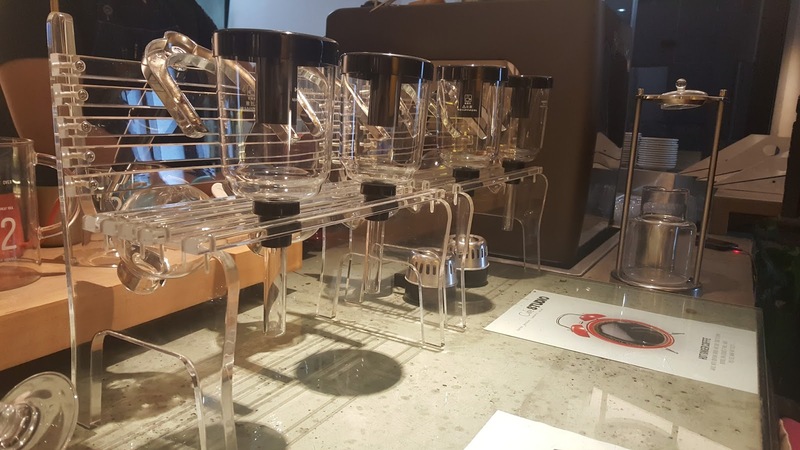 A vacuum coffee maker brews coffee using 2 chambers where vapor pressure and vacuum produce coffee. 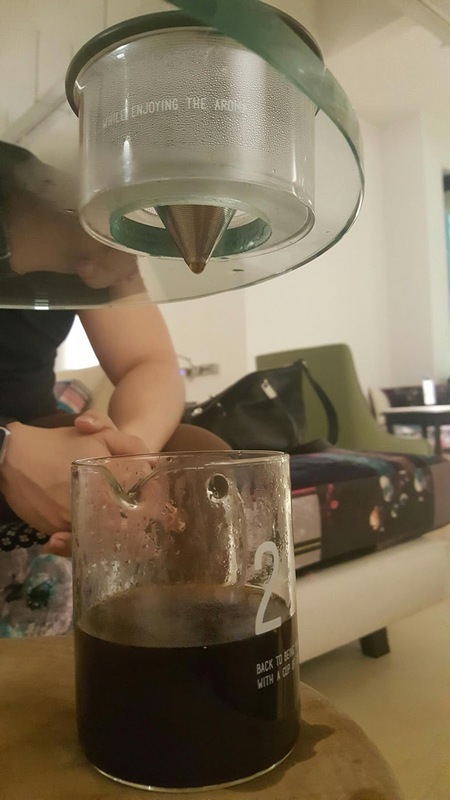 Heating water until expansion forces contents through a narrow tube into upper vessel containing coffee grounds with principle of vacuum. 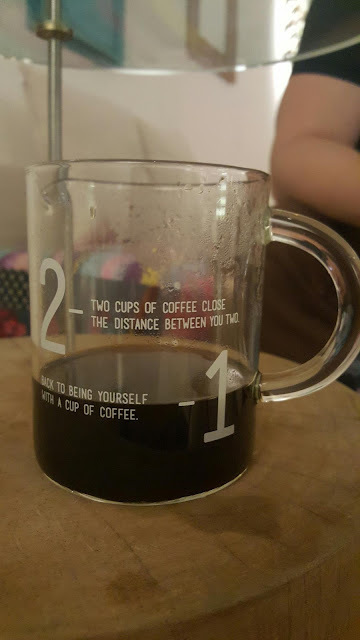 When the coffee has finished brewing, the heat is removed. The pressure in the bottom vessel drops and the force of gravity and atmospheric pressure push the water down into the lower vessel, ending brewing. Just witnessing the process for the first time is hard to describe. Like how cool it is the little experiments in science lab during secondary school time. Vacuum coffee process by their barista. The last coffee making we tried out is Drip Brewing. 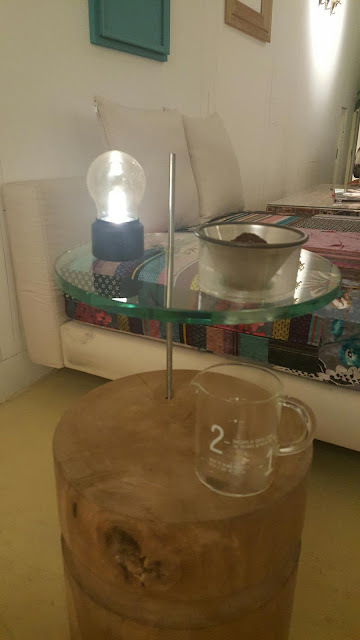 We moved to a specialist dripping coffee designed round table. 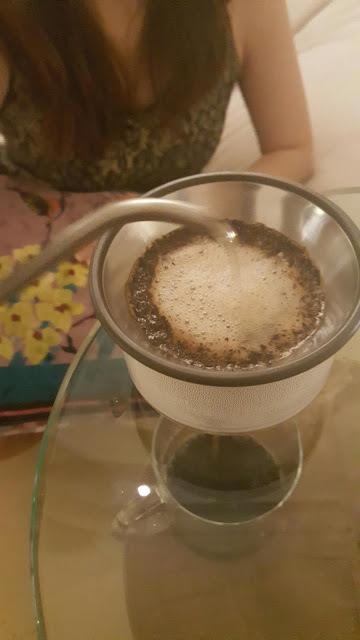 Pouring hot water over ground coffee contained in a filter. Hot water seeps through the ground coffee, absorbing it's oil and essences, then passed through the bottom of the filter. Take note for the volume of hot water you pouring to avoid bland or lacking in flavor. 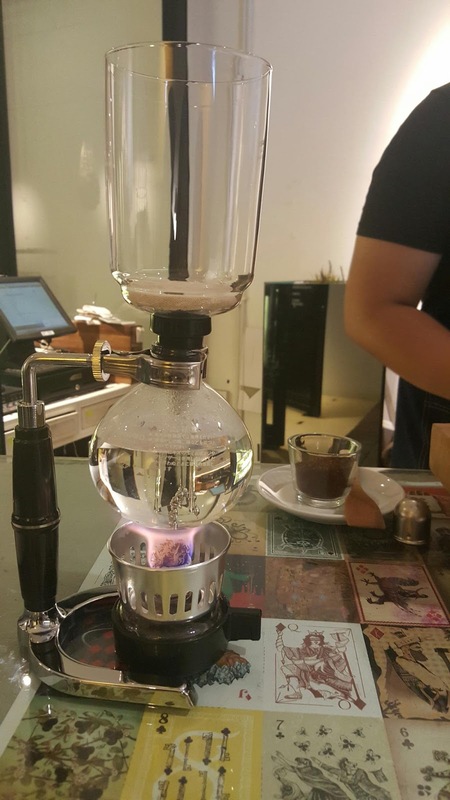 Finally, it's my time to brew coffee! 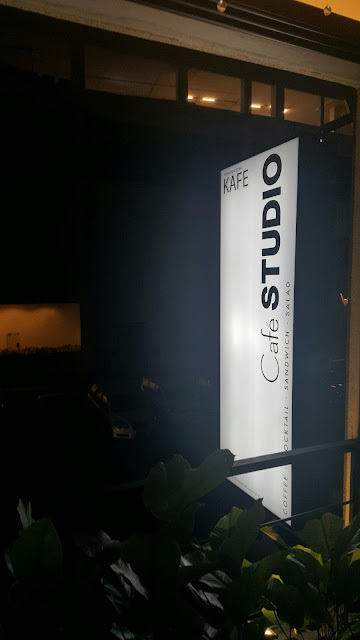 Brewing coffee @ Cafe Studio, a cozy yet artful space is totally enjoyable. Cafe Studio is a perfect place for coffee lover i would say. 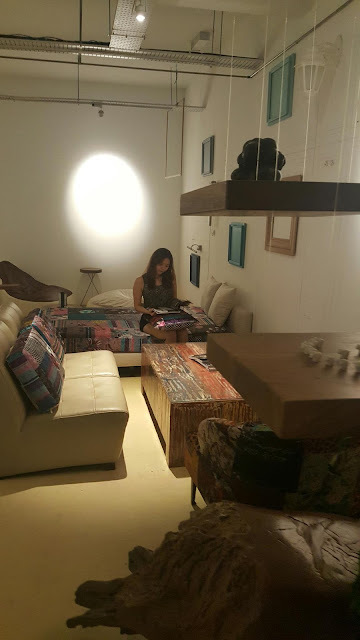 No.42A-1 & 46-1, First Floor, Jalan PJU 5/20D, The Strand, Kota Damansara, 47810, Petaling Jaya, Selangor, Malaysia.